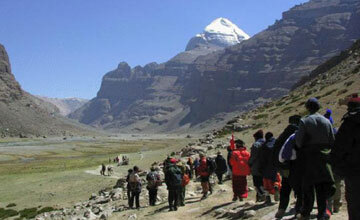 Ganden samye valley trekking is popular trekking in Tibet. 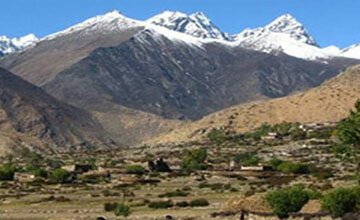 Tibet Ganden samye valley trek offer beautiful Himalayan views including Mt. 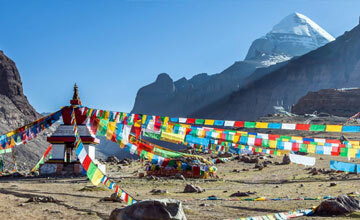 Everest , Holy kailash , Shishapangma, Cho Oyu etc Potala palace, Tibetan monasteries , beautiful Ganden samye valley. 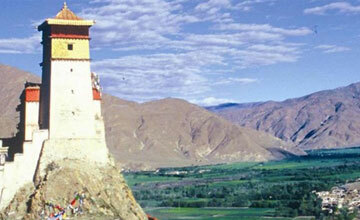 Tibet Ganden Samye valley tour take travelers heart of the Tibet . Ganden samye valley trekking open for travelers in 1985. 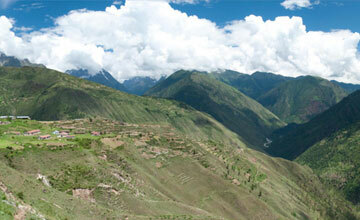 Ganden Samye valley trekking tour route crossing 2 mountain passes, beautiful alpine lakes and nomads. 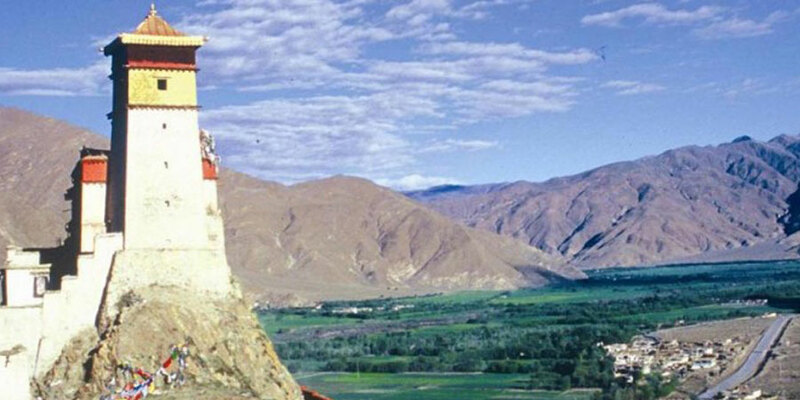 Ganden samye valley trekking tour begins from The Ganden Monastery (4180 m), 32 kms by road from Lhasa high above the Kyichu River and ends at The Samye Monastery. The main temple Utse at Samye represents Mount Meru, centre of the Universe. Ganden samye valley tour required minimum two weeks but we Himalaya Journey Trekking arrange personalized service as per travelers wish and holiday schedule. May, June, July, August & September are best month trekking in Ganden samye valley but HJT arrange around the year. 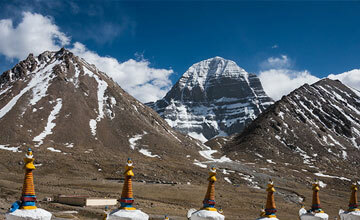 Day 01: The flight from Kathmandu to Lhasa is spectacular. 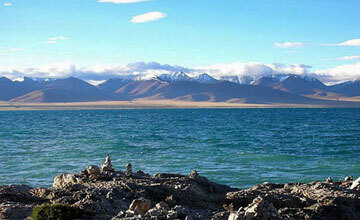 From Gongkar airport it is about 1½ hours’ drive to Lhasa, first along the Yarlung Tsangpo then into the Kyi Chu Valley. 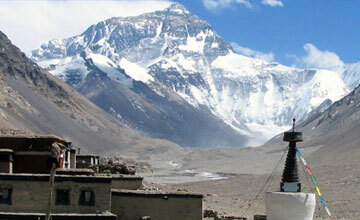 Day 02-03: With a relaxed pace to allow for the effects of altitude, explore this fantastic city on the roof of the world. The spiritual heart of Tibet is the Jokhang Temple and every morning is full of life as pilgrims bring offerings of butter and barley flour. The Potala Palace rises above the city and, more than any other sight, symbolizes the history and culture of Tibet. 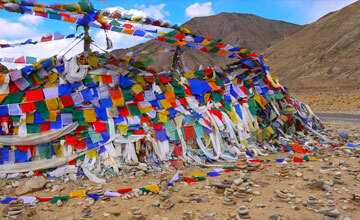 Nearby are the huge monastic universities of Drepung and Sera – still active institutions. 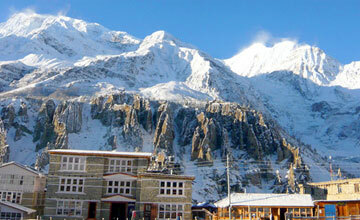 Day 05: Ganden (4500m) is the seat of the head of the Gelukpa order, the Ganden Tripa. Founded by Tsong Khapa in 1417, the monastery has exercised powerful political influence and perhaps because of this suffered almost total destruction in the 1960s. Rebuilding is well underway, but the extent of the damage is quite evident. The kora, pilgrimage curcuit, here is one of the most fascinating with numerous pilgrims and great views of the Kyi Chu valley. Day 06: From the high point of the Ganden kora continue to ascend towards the top of the ridge, marked by a cairn. 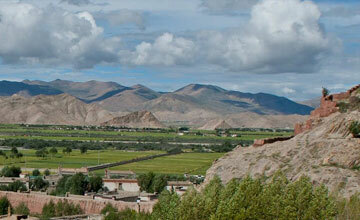 From here the view is down the Kyi Chu Valley to Lhasa. Pass through Hepu village with its red and yellow protector-deity residence on the edge of the village – the Divine White Yak. The trail continues along the stream as the valley narrows to the site of a ruined nunnery before emerging onto marshy meadowland and Yama Do. Day 07: Damp alpine meadows continue to the pass, Shuga La (5250m) where cairns, prayerflags and yak horns mark the summit. 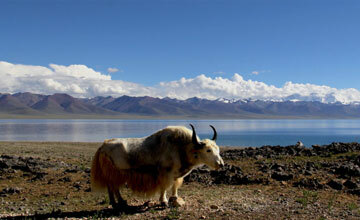 Descend past a small lake into the Tsotup Chu Valley, an area of rich pasture supporting yak, sheep and goats. There are often herders camped here and it is an ideal opportunity to get a glimpse of this traditional Tibetan lifestyle. Day 08: Climbing a wide basin the Chitu-La (5100) is visible as a rocky rampart at the head of the valley. On the far side small lakes dot a shrub area where herders have carved out small level areas for their tents. A narrow gorge leads out onto the wider meadows where there are larger herder’s camps along the river. Day 09: Scrub willow and rosebush forest become thicker as you descend down the river, into forest of juniper and rhododendron. This is one of the most attractive sections of the trek, especially in May and June when the rhododendrons are in flower and the hillside is a blaze of color. There is a shrine to the protectoress of the area, Dorje Yudronma, and further down the valley, the first permanent settlement since Hepu – Chanda. Looking south the mountain range across the Yarlung Tsangpo is visible in the distance. Day 10: A detour leads to Yamalung hermitage where Guru Rinpoche meditated and received empowerment from the Buddha Amitayus. There are several small temples, a sacred spring and numerous carvings; the temple enclosing Guru Rinpoche’s meditation cave contains a hand and footprints of the saint. From the tiny hamlet of Pisha you can see Hepo Ri, one of Tibet’s most sacred mountains, in the middle of the Samye Valley below. From here the valley is a tapestry of fields, woods and villages contrasting with the sandy river bank. 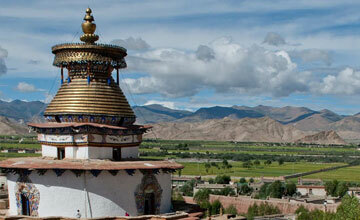 Tiny temples and shrines dot the path down towards the golden roofs of Samye. Samye, built in the form of a mandala, was the first monastery to be built in Tibet and where Guru Rinpoche subdued many local demons, converting them to Buddhism. Day 13: Drive to Gonggar and fly back to onward destination or combine other trip such as EBC trekking and drive Zhang Mu - Kathmandu. Day 14: After breakfast, our tour guide will take to for historical monuments sightseeing in kathmandu valley such as Boudhhanath : visit Bodhnath Stupa, one of the biggest Buddhist shrines in the world, where we observe Buddhist monks in prayer in the monasteries surrounding the stupa than visitPashupatinath: the most famous Hindu temple in the country, located on the banks of the holy Bagmati River. Here you see Hindu holy men (sadhus) meditating, pilgrims bathing and occasionally funeral pyres burning on the ghats. Kathmandu durbar square: you will enjoy with different Hindus Temple , Goddes Kumari, legend of kathmadu valley etc and in the evening farewell dinner in Nepalese Restaurant, overnight at kathmandu in Hotel. Day 15: After breakfast, Relaxing/shopping with own activities , Himalaya Journey Treks & Expedition's representative will drop to Kathmandu international airport for onward journeys or as you have time will arrange another package trip accordingly.